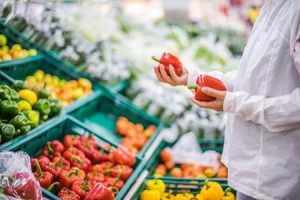 Co-op Store Accident Personal Injury Claims – How Much Compensation Can I Claim? Have you slipped on water in Co-op while doing a bit of grocery shopping? Have you been injured because of a lack of training provided by the Co-op upon starting your new job there? Although supermarkets do not seem like a dangerous place, and accidents may be fairly rare, they do happen. If you have been involved in such an incident, it is important that justice is served and that you get the payout you are entitled to. This is where Accident Claims come in. We have many years of experience in helping personal injury victims to get the full payout they are eligible for. We don’t settle for anything less than the maximum compensation. But, before you give us a call to discuss your case, make sure you continue reading, as our guide on Co-op compensation covers everything you could possibly wish to know. What is a Co-op accident? If you have been hurt while shopping or working at Co-op, what are the next steps? Will I be entitled to a compensation payout if I have been hurt while doing some shopping at a Co-op store? I was in a Co-op car park when I had a car accident, can I claim for this? What are the common kinds of incidents that happen at Co-op and other supermarkets? What will be the compensation I receive once I launch a claim for my Co-op accident? The Co-op is the nickname for The Co-operative Group, which is a diverse range of retail businesses. This includes businesses specialising in funeral care, legal services, insurance services, financial services, electrical retail, and food retail. You probably know the Co-op mainly for their food stores, and that is what this guide deals with. We have helped many people to file shop related accident claims, and if you have been injured in one of their stores, we can help you too. A Co-op accident is exactly what it says on the tin: this is any type of accident that has happened while on Co-op premises. This could be in-store or it could be in the car park. It could have also occurred while you were working there or while you were shopping there. All that matters is that it happened on premises that the Co-op is responsible for. Aside from this, in terms of claiming, there is a time limit. The accident at work time limit for the Co-op and the time limit for those who were injured while shopping there is the same. This is three years. This means from the date of the incident, you have three years to launch your claim. However, it is not advisable to wait this long. This is for two reasons. Firstly, the longer you leave it, the more difficult it will be to claim. Secondly, court proceedings must be issued within the three years, so it is never wise to leave it until the last minute. Record all expenses – You are going to be able to claim for any costs that you have been subject to because of your injuries. It is vital to record these expenses, and to keep proof. You can do this in the form of receipts or any documentation that will prove loss of income, for example. Write down all of the details about the accident – It is easy to forget things, so it is a good idea to do this just to be sure. Get your medical report – Your doctor will have put together a report about your injuries. It is wise to get this documentation because it is going to be the most important piece of evidence when determining the exact payout you will receive. Contact the Co-op – You need to get in touch with the Co-op to report the incident, so they can then record this in their Co-op accident book. This is something they are required to have by law, and it is good for you because it means that there is an official record of the accident. Take photographs – If your injuries are visible, take some photos of them. If there is damage at the scene, take some photos on your mobile phone. Get witness contact information – In terms of boosting the strength of your case, witness statements work really, so it is a good idea to get the contact details of anyone that witnessed what happened to you. A lot of people feel that the process of claiming compensation is going to be incredibly stressful, and this is why they don’t bother proceeding with a case, even though they are entitled to a payout. This is certainly not the case when you claim with us. All you need to do is pick up the phone, ring our team, and then we will take it from there. We will guide you every step of the way, and we will operate as efficiently as possible so that you only need to worry about getting better. If you need our assistance with arranging a local medical or anything along those lines, we will happily help, and this will come at no added charge to you. Compensation is designed for anyone that has been hurt in any type of incident that was not his or her fault. Therefore, if you have shopped at one of the many Co-op stores in the UK, and this applies to the accident that took place, yes, there is a very high chance you will be eligible for a payout. This is something we can help you to secure. The above represents a few examples of what people claim for with regards to a Co-op accident at work. If your injury or accident is not represented in the list above, you can still claim. This is merely a list of common examples. Maybe you are worried about claiming because you do not want to rock the boat in your place of work? You may be concerned that you could lose your job if you go forward with a claim for compensation. This will not happen. There are laws in place to protect you against this as well, so it is not something you should worry about. Of course, it is important to be respectful and handle the claims process professionally, but that is where we come in, so we can make certain that will be the case. When it comes to claims for supermarket incidents, there is little denying that slip trip fall claims can bevery common. This is because these incidents can happen many different ways in a supermarket environment. For example, we have helped people to claim when they have had a slip in Co-op because of a wet floor that had not been marked properly. We have also helped someone that has had a fall in Co-op because of poor car park maintenance. If you have experienced a slip, trip or fall and you would like some more information on this, please give us a call. I was in the Co-op car park when I had a car accident, can I claim for this? Co-op accident compensation claims are often launched for incidents that have happened in the car park. After all, the Co-op takes responsibility for their car park – they are responsible for all of their premises. Therefore, if an incident has occurred in the car park, you can claim. But, who are you going to be making your claim against is the question! Well, if a car accident happened due to another driver, you will be claiming against them. However, if poor car park maintenance, for example, a bad pothole, caused the accident, you will make a claim against the Co-op. In regards to loss of earnings, it is important to talk to your boss and ask if you are injured at work do I get paid? This is vital because if you do not get paid, then you can claim for the income you have lost. You can also claim for income you are expected to loss in the future if you are going to be off work because you are still injured. What are the common kinds of incidents that happen at the Co-op and other supermarkets? Injuries because of a faulty door, or a faulty escalator or lift. Cuts from damaged fixtures or shelves. Injuries because of a path being obstructed due to a misplaced object. Slips, falls, or trips because of spillages or wet floors. Injuries due to staff negligence. Have you stumbled upon an accident at work claim calculator online, which has told you that you will get ‘x’ amount? Please note: these calculators only ever provided very rough estimates. It is impossible to provide an accurate Co-op compensation figure to anyone, as all cases are handled on an individual basis. Therefore, Co-op compensation pay outs are only decided once a claim has been launched, and they cannot be predicted beforehand. However, we can give you an idea of the generalised payout amount for injuries. Please refer to the table that is below for some more information on this. You may have heard about accident at work No Win No Fee claims, as well as No Win No Fee accident claims for people that have been shopping at stores and have been hurt. At Accident Claims, our service is 100% No Win No Fee, but you may be wondering what this means exactly. Simply, it means, if we don’t keep up our end of the service by winning compensation, you don’t have to pay us. Some companies claim to be No Win No Fee, but they still charge a fee. This is something we will never do. This means that when we launch Co-op injury claims, you are protected financially. You won’t be out of pocket at the end. You also know that our solicitors are working hard for you, and you know that we will not simply take on your case for the sake of it. For a realistic assessment of your chances of claiming, call our Co-op accident claims number today. You will be matched with a solicitor that has up to 30 years of experience in the personal claim industry. We have worked on a lot of supermarket accident compensation claims. We have a great track record for securing payouts, and securing the maximum amount, which is always our aim. We will make sure you are in the know at all times. Our team are very friendly and easy to talk to. We don’t use complex legal jargon. We genuinely care about all of our clients. We really think you should focus on getting better, and we will focus on getting you the compensation you are entitled to. If you still have any questions, use Accident Claims’ Co-op accident helpline to get in touch. The number you require is 0800 073 8801. You can reach us on this line on any day of the week, and at any time of day. We are always available. If you would prefer, head to our website to use our online contact form or to request a call back. We will happily assist in any way we can, no matter how many queries you have, or if you want some of our Co-op accident at work compensation case studies, or if you’re simply ready to get started! So, don’t delay, give us a call now! We have a number of links that you may find useful if you are seeking some further information about supermarket risks and/or the injuries you have sustained. If you are looking for further information on a condition, this page by the NHS should help. It is like an encyclopaedia of conditions, injuries, and treatments. From a lock necked to back pain, it covers all possible injuries you could have sustained due to a supermarket accident. The UK Government provides plenty of useful health and safety advice for all types of businesses across the country. This section is their ‘Retail’ page, which covers everything from slips and trips to violence and manual handling. Finally, this is another link that takes you to the Government of the UK’s HSE page. You will find information surrounding the risks that are linked to smooth supermarket floors. This also includes details on the sensible actions to take to mitigate these risks, both in the long-run and the short-term.